UN Certified Bulk Bags are manufactured specifically to pass UN certifications for transporting and storing hazardous materials with a rigorous testing regiment to ensure each bag can protect users from toxic contamination, chemical burns and corrosion, fire and explosion and environmental damage. Our technical engineering staff are experts in FIBC design and in helping to define bag features best-suited to reinforce your FIBC to ensure it passes the rigorous testing required for UN Certification. We design UN bulk bags to meet your specific needs. Regardless of what size bag you need to ship your dangerous goods, we can ensure it will still comply with all safety and quality regulations set forth by the United Nations. For a bulk bag to be UN certified, it must be strong enough to ship dangerous goods internationally while keeping its contents, its handlers and the environment safe. To comply with the United Nations strict safety regulations for transporting dangerous goods, UN bags must adhere to all identification and labeling requirements communicating contents, origin and more. We can help ensure your bag's compliance. 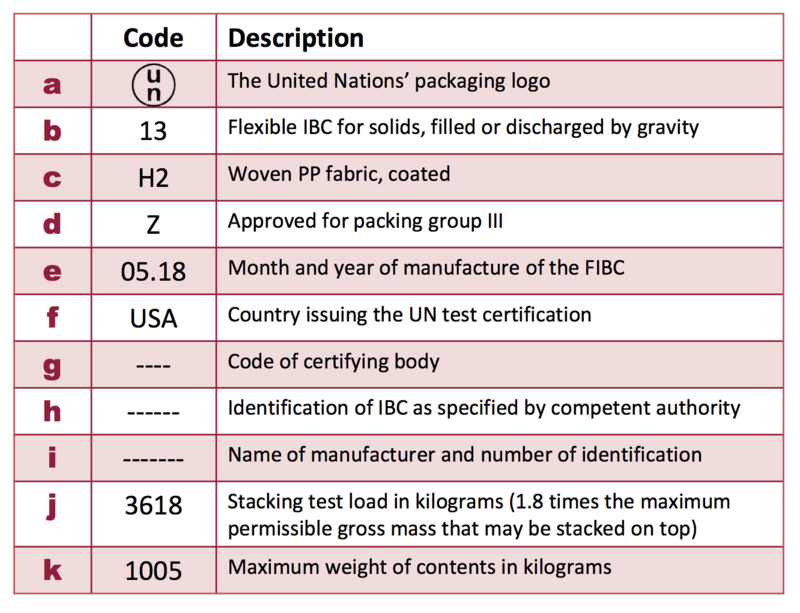 Certification documentation will provide the UN Certified Bag with a “Periodic Design Recertification Date” which is typically a year out from the certification date. 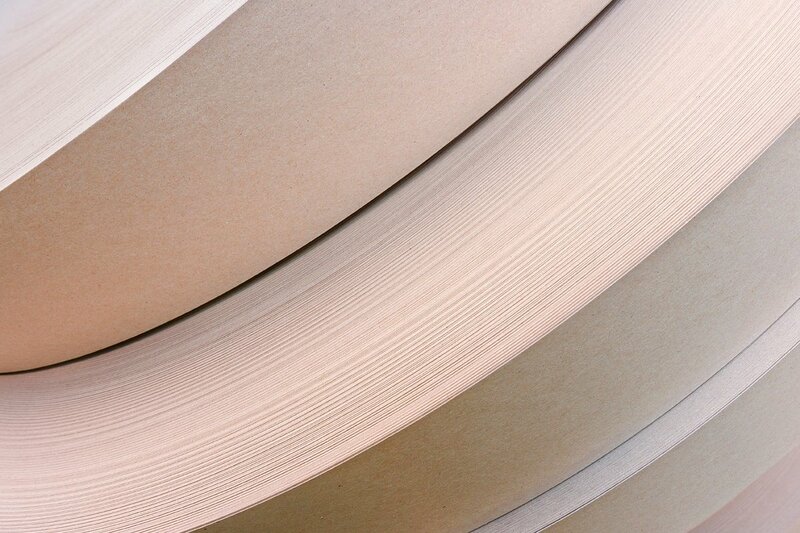 The manufacturer and/or the supplier of the bag will keep up with these records to file for recertification. You may want to ask your vendor how they manage this process to ensure the currency of your bag's UN certifications. Want to learn more about the UN Certification requirements and process? Download UN Certified Bulk Bag guide for more. How do you know if you need a UN Certified Flexible IBC? The United Nations and Department of Transportation require you to use special precautions if you transport hazardous materials (HAZMAT) aka dangerous goods. If your product falls into one of the UN’s nine Dangerous Goods classes, it must be packed and shipped in UN certified packaging. This is true regardless of your transportation method by land or sea or air. Learn more about the types of dangerous goods and how to find the right bag for your needs here. UN Certified Bulk Bags must communicate specific information to identify the contents of the bag, where the bag came from, who made it, what material the bag is made from, authorization for use, weight capacity and more. This helps ensure the safety of all handlers of the bag and its contents considering the level of hazard involved in transportation. Our in-house Material Science Engineers will assist you with your UN certified bulk bag needs, and we will give you a personalized consultation and quote. We've compiled all of our resources into the "What You Should Know When Purchasing the UN Certified FIBC Bulk Bag" including a guide to purchasing!